Precision Hilo Helicopter lift Solutions : FairLifts Helicopter Lifts! 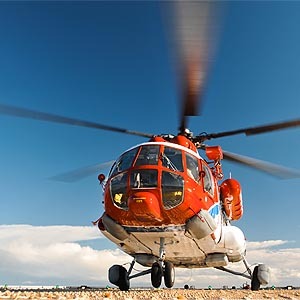 FairLifts is your number one resource in the coordination of precision heavy lift helicopter and air crane services, emergency response and aerial support for personal or professional pursuits. Local operators work alongside us to deliver quality, safe and effective helicopter lift solutions and applications that may be used in a multitude of ways to your benefit. Our agents are detail oriented and will organize services according to your specifications and in the most proficient way from the beginning so that your task is completed correctly without any compromises to the safety and security of work crews. Through the extensive network of global providers we reserve services for, you will have access to a huge fleet of helicopter aircraft, each systemically maintained per FAA specification. Pilots and flight crews these operators employ are certified and experienced in the specific helicopter application or in services they provide. From construction and development to agricultural services even in utility inspections or logistical transport, FairLifts can arrange effective helicopter solutions anywhere in Hawaii and beyond. The small community of Hilo is situated on the East side of Hawaii’s big island. Although the town is well known for its stunning scenery and the massive amounts of rainfall the town receives annually, it’s Hilo’s close proximity to the Kilauea volcano that people have been talking about recently. Kilauea is one of the most active volcanoes in the world and just this week Hilo was in the news for a 4.4 magnitude earthquake centered along the south flank of the volcano. Being situated anywhere near to volcanic action and even dormant volcanoes outdoor enthusiasts have a tendency to hike, provides loads of opportunities for local helicopter lift providers. Helicopters are used widely in emergency services and in geographical surveying to investigate volcanic and seismic activities. Emergency helicopters were recently dispatched to evacuate communities that surround the Hawaii Volcanoes National Park where a number of fissures had appeared and spewed molten lava into the air. Helicopter lifts are additionally used throughout Hawaii in water rescues for those stranded on ocean going vessels, in the retrieval of injured surfers and swimmers and in efforts to search the area for sharks and other predators that could pose a risk to beach goers. Want to Hear More About the Array of Helicopter Solutions Available When You Book Through FairLifts? Used to convey heavy loads of building materials like wood, pipes, pierced cargo as in bricks or concrete pieces, or in the installations of equipment like tower cranes. Heavy lift helicopters make use of cargo hooks and suspension cables to move large objects, replacement parts or machinery to various locations as in job site delivery, vehicle transport, wreckage retrieval, or in crane, tower and signage installations. 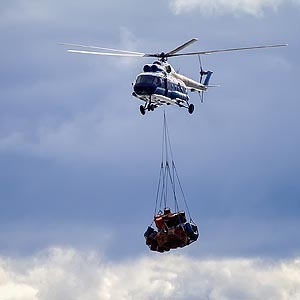 Cargo helicopters deliver accurate, safe and timely transport of urgent, hazardous or sensitive materials, or out sized objects and freight to your desired destination. Used widely across a number of emergency response applications, like search and rescue (SAR), transport of clinical staff to a specific location or the scene of an accident (HEMS), in retrieval and rescue from water sources, mountains, or in the event of natural disasters. 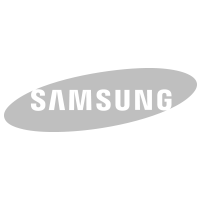 May also be used to supplement emergency response for government contracts (military and LE) and aerial pursuit operations. If you’d like to arrange professional helicopter lift solutions in and around the Hilo community, contact FairLifts. Agents are available 24/7 to speak to you about concerns, service specifics and deliver price estimates and most importantly, reserve services.